RB-VHCMD16 3G/HD/SD-SDI Embedder & De-Embedder 16 Channel Digital I/O. The RB-VHCMD16 is a 16-channel de-embedder and 16 channel embedder combined into a single 19-inch rack unit. 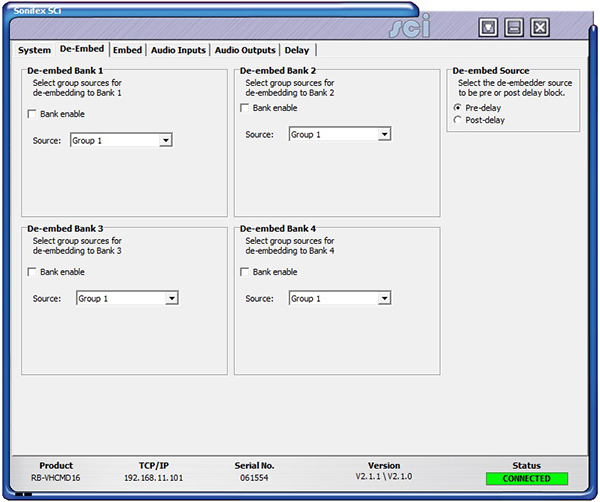 The unit can selectively de-embed any channel within any audio group of an SDI video signal, to any of the digital outputs. 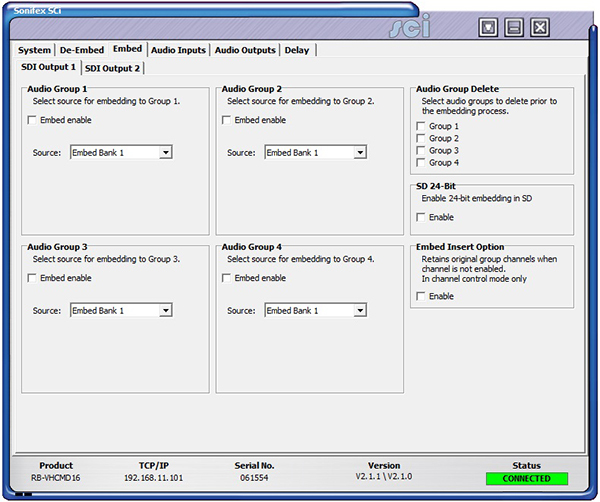 After which, the video becomes two independent paths where the audio groups can be selectively deleted or passed through. The unit then embeds any of the digital input channels to available groups within each of the two video paths, which are then sent to the re-clocked SDI outputs. 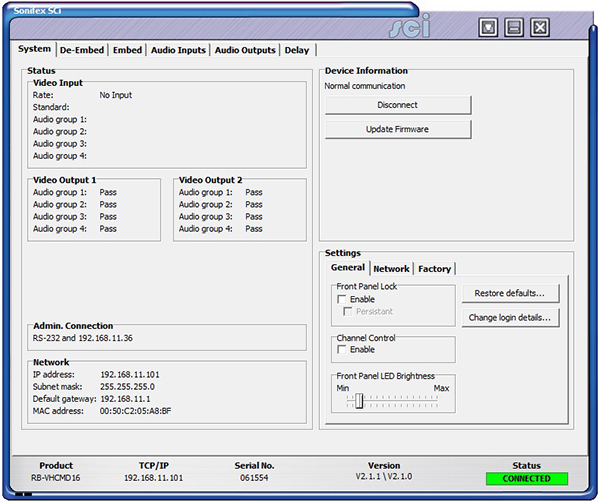 The de-embedding and embedding channel routing is controlled via the front panel buttons and indicators. 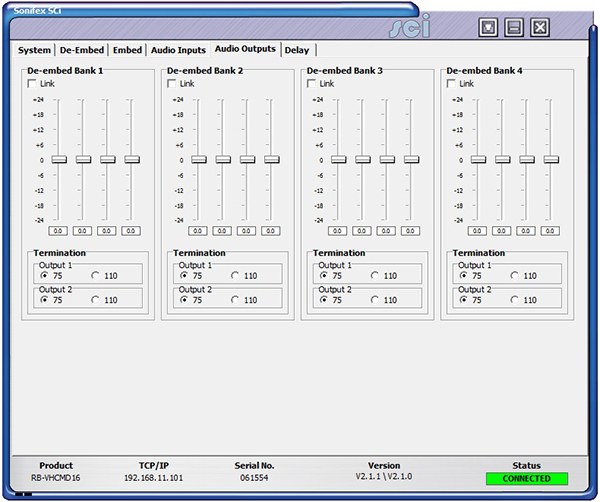 There is also LED indication for SDI input status and audio group presence. It has a triple rate SDI receiver with automatic input rate detection and equalisation along with two re-clocked and individually buffered SDI outputs. It supports the full range of single link 3G, HD and SD standards from NTSC and PAL up to 1080p 60Hz. 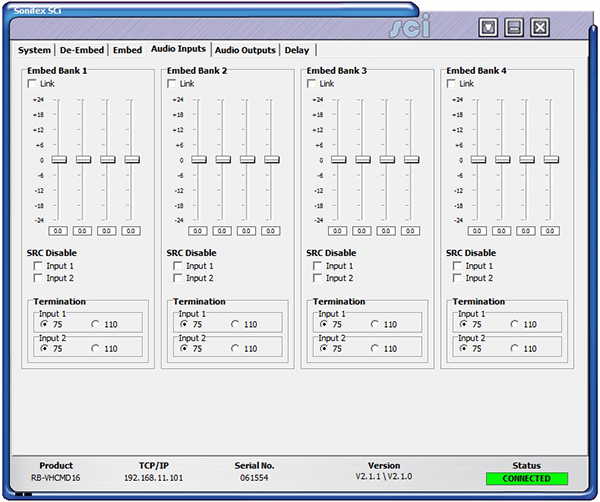 Each digital input is normally sample rate converted to 48kHz before embedding, so that it is synchronous to the video input, though sample rate conversion can be bypassed on a per input basis allowing SMPTE-337M data to be embedded. 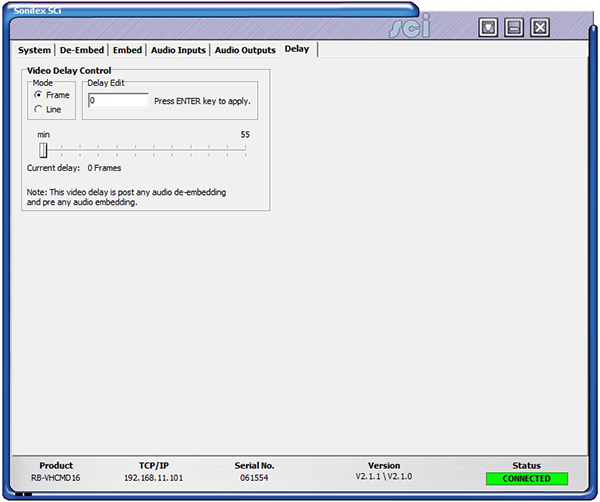 All digital outputs are output at 48kHz, synchronous to the video input. There is independent level control for each digital input and output channel, which can be adjusted from -24dB to +24dB in 0.5dB steps. 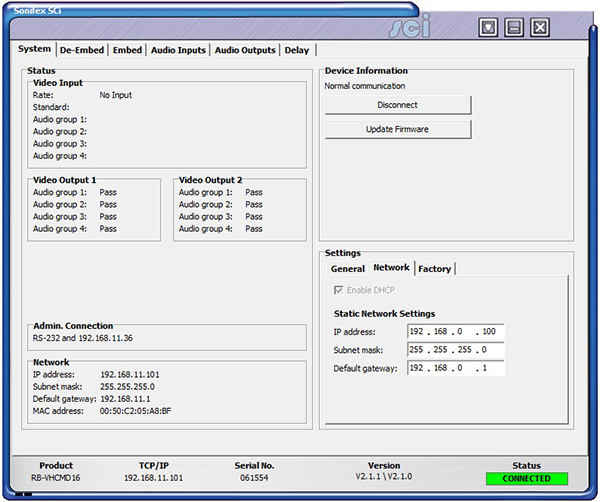 The digital audio I/O connections are transformer-coupled balanced line interfaces and can be configured to be either 75ohm (AES 3ID) or 110Ω (AES 3) impedance through either a BNC or D-type connector. These connections are paralleled, allowing one type to be used per input or output.